When more than a year ago I was drawn to Reiki I didn’t expect it being the step, which later on takes me back to the world of gemstones. Learning about Reiki sparked my interest in the energy world, where I discovered the relationship between the gemstones, colours and energy healing. 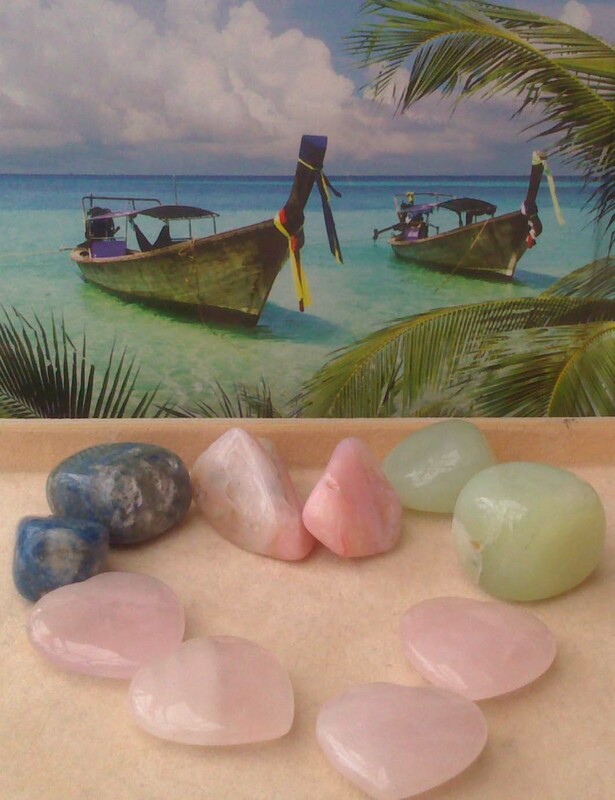 I decided to learn about crystal healing and colour therapy to see the whole picture. Now I combine crystal and colour therapy with the high frequency Reiki energy for healing purposes for my clients. That gave me the idea of trying to make this knowledge available on a more practical level, so I started designing fashion jewelleries, but this time made of gemstones/healing crystals. I have launched my first collection on psychic fayres with a very positive response towards them. Now I made some available for you to purchase in my online crystal and gift shop, Spiritual Wonders. 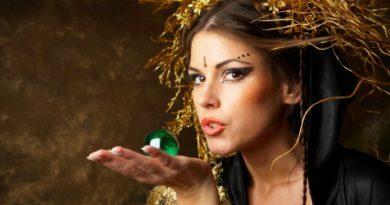 Crystals are beautiful creatures and you can be drawn to them on different levels. Their colour shows the light frequency they work with, which on its own has its own healing qualities. 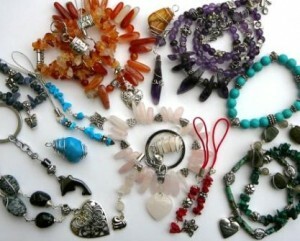 With my handmade gemstone jewellery I combine fashion with the healing properties of the colours and gemstones itself. You can be sure your chosen item is unique. Although there can be similar looks, there is no two products made with the same design. I do not mix crystals in the designs for the sake of creating a more appealing appearance. They work best on their own. The only exception I make is with Clear Quartz or Rock Crystal, which can be combined with other crystals without interfering with their healing properties. This way you have bright single coloured accessories, such as bracelets, necklaces, key rings, mobile phone and bag charms to choose from to match the colour of your clothes or your mood. I use different shapes of crystal beads, such as nuggets, round and roundelle shapes, tubes, chips combined with silver plated metal beads and charms to create my unique jewelleries. I picked healing crystals, such as Amethyst, Clear Quartz, Sodalite, Turquoise, Blue Howlite, Aventurine, Malachite, Yellow Jasper, Carnelian, Red Coral corresponding with the 7 colours of rainbow, and some of my personal favourites, such as Rose Quartz, Hematite and Snowflake Obsidian to match your personal colours. So it’s time to figure out what your favourite colour tells about you. Just choose from one of the 7 colour categories on my website and find the right accessories for yourself or as a gift.